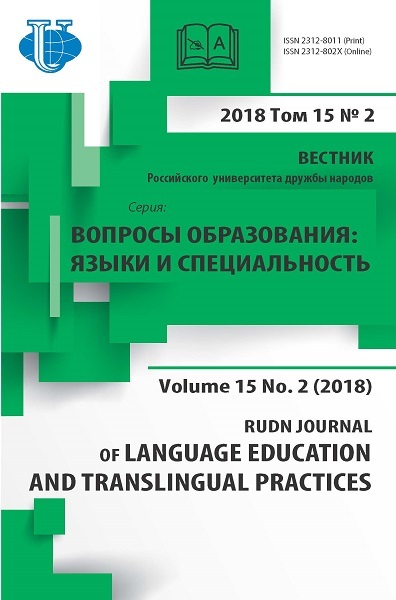 The article presents a narratologic analysis of the narrative features of A. Kim’s prose, a modern Russian-speaking writer of Russia and Kazakhstan, whose narrative practices provide rich material for narrative research of the multicultural space of his artistic texts, in particular, narrator problems. For the analysis the stories “Nightingale Echo”, “Onion Field” and “Lotus” have been selected. This material allowed us to test the theoretical positions of narratology and supplement them with empirical data. A specific, typical for A. Kim’s narration - the polyphony of narratorial voices and a complex model of communicative pairs that create a unique narrative structure of the writer’s works - are found. We have also made an attempt to classify the types of narrators-recipients identified in A. Kim’s prosein their interaction with types of narrators-addressees of artistic information. Particular attention is paid to the concept of an ideal recipient as a participant of text-mediated communication between the author and the reader. narratology, addressee, addressee, recipient, narrator, narrator, narrative model. Prince, G. 1980. “Introduction to the Study of the Narratee” in Reader-response Criticism / ed. by J. Tompkins. Baltimore; London: Johns Hopkins University Press. Schmid, V. 2003. Narratology. Moscow: Languages of Slavic Culture. Tyupa, V. 1997. “Three Strategies of Narrative Discourse”. Discourse 3—4. URL: http://www. nsu.ru/education/virtual/discourse34_15.htm (accessed: 15.10.2017). Copyright (c) 2018 Dzhundubaeva A.A.